Luxuriously soft to the touch, velvet was once a fabric that only the rich and those of nobility could afford. Today, however, velvet is much more accessible. It only takes a small amount of an oily substance to mar velvet's smooth appearance. 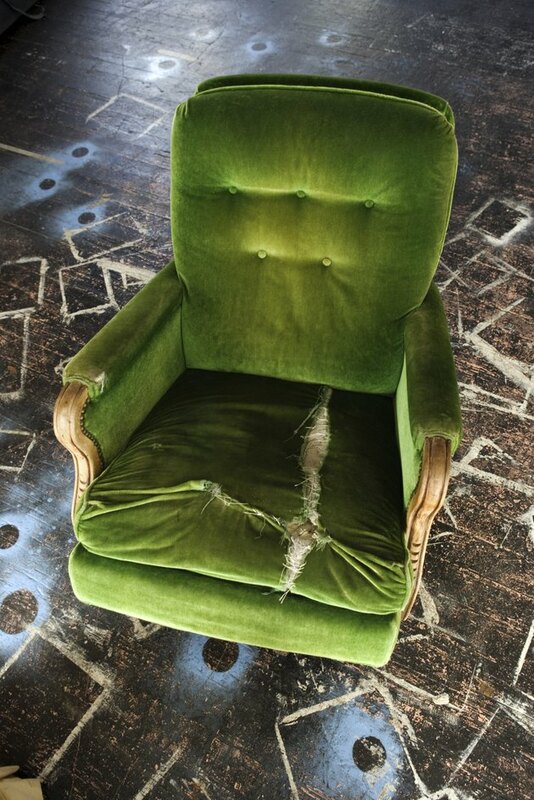 Rather than placing your faith in store bought stain removers, look no further than your pantry for the safest and most effective solution for removing oil stains from your velvet chair. Don't let ugly grease stains detract from the luxurious look and feel of velvet. Blot fresh oil or grease from the stain with a soft cloth. Press gently so as not to push it further into the chair. Sprinkle cornstarch or baby powder on the stain. Work it gently into the fabric with your fingers and add more to leave a thin layer covering the stain. Leave the powder on the stain for at least an hour. Brush away the cornstarch or baby powder with a soft bristle brush or incorporate the help of the brush attachment of your vacuum cleaner. Dampen a cloth with warm soapy water and expel all of the excess moisture from it with your hands before using it to wipe the area clean. Wipe the area with the cloth. Do not over saturate the area. Allow the area to air dry before brushing it in the direction of the pile with a soft-bristled brush.